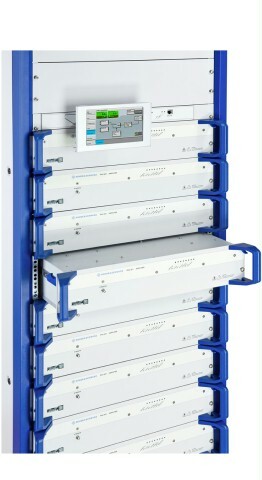 The R&S®THU9 UHF high-power transmitter family makes terrestrial broadcasting of TV signals extremely efficient. The R&S®THU9 contains open source software packages. Copies of the respective licenses are included in the Open Source Acknowledgement, see Downloads/Software area of this web page. 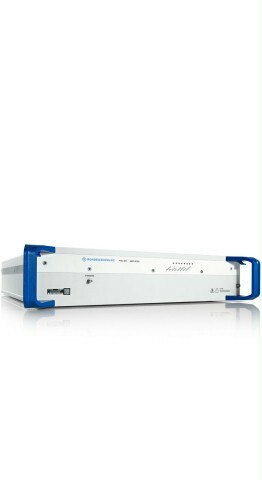 The R&S®THU9 UHF high-power transmitter family makes terrestrial broadcasting of TV signals extremely efficient. It features high energy efficiency of up to 42 %, outstanding configuration flexibility and exceptional operating convenience in a very small footprint. For network operators, this means cost reductions over the entire system lifetime. The liquid-cooled transmitters deliver output power of up to 75 kW for digital standards in Doherty operation, and up to 58 kW for analog standards. 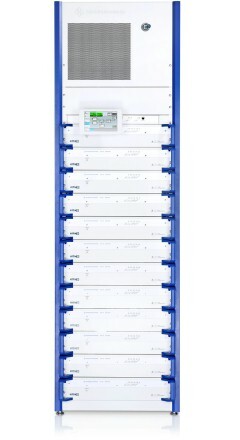 Rohde & Schwarz also offers the highest power density on the market with as much as 15 kW per rack for COFDM standards. In Doherty mode, the R&S®THU9 transmitter family attains efficiency values of up to 42 %, including the cooling system – for maximum energy and CO2 savings. 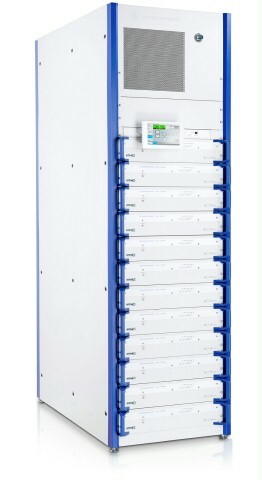 In Doherty operation, users can save up to 50 % of energy costs compared with conventional transmitters.